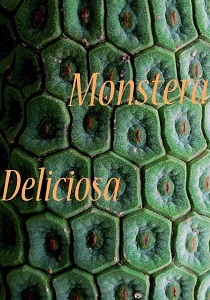 For one evening only, the Blue Elephant transforms into the Monstera Deliciosa group exhibition! The performances individually and collectively interact with the playful dynamics and potential of the theatrical space and time as an exhibition. The coexisting works investigate the simultaneous opposites of orderly disorder, synchronous spontaneity, anticlimactic climax, the humorously serious and the theatrically honest. An angry wrestler explores the relations and boundaries within group exhibitions, while exposing the frustration of artists. You are invited to a collective game of breaking through the fear of the unknown. A participatory performance based on the festive game of the piñata. A sculptural and choreographic performance influenced by the autobiographical elements of the artist’s experience in the Greek Navy. A durational process of discipline, healing and absurdity. Remnants of celebrations or traces of a performance. This site-specific installation insinuates the memory of fun as well as the melancholy of past moments. This exhibition runs from 18.00 - 20.30. Tickets are FREE, but booking in advance is highly recommended. Please book here.